The Ravello is a contemporary design corresponding to modern trends. 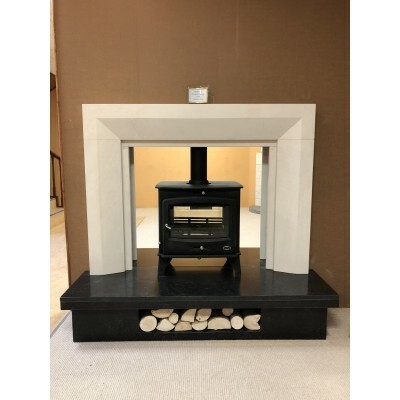 This is on display with a double sided stove. 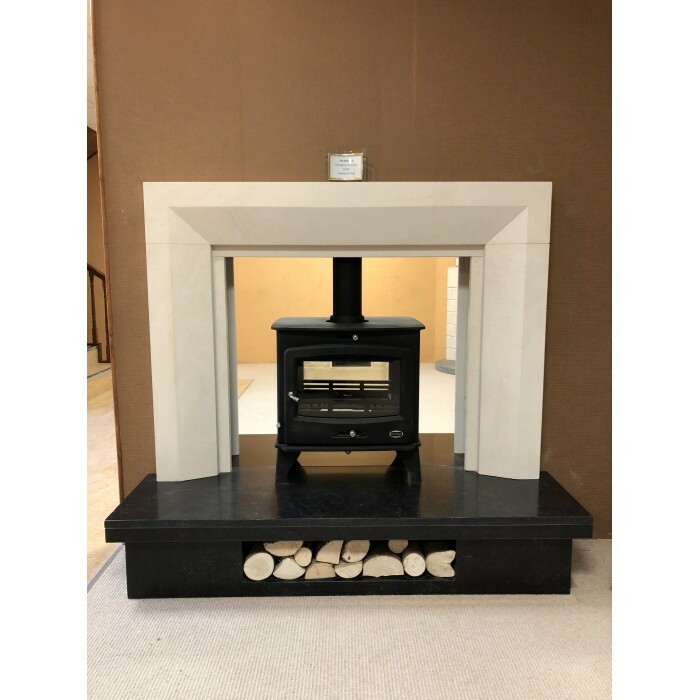 Shown here in Portuguese Limestone on a raised Honed Limestone Hearth 12' high with log box cut out. The height of this fireplace is 46' of the hearth and 61' wide. This fireplace can be made to match any room dimensions.